Nearly all our food comes from the Earth’s limited food- producing lands, but those lands continue to be degraded, guaranteeing far higher food prices and less food in the future, experts warn. But degradation and desertification can be halted and reversed, as evidenced by once barren parts of Africa’s dry Sahel Region that are now green and thriving thanks to local efforts. “Without reversing ongoing land degradation, studies show food prices will be 30 percent [higher] and 12 percent less food available” by 2035, said Luc Gnacadja, executive secretary of the United Nations Convention to Combat Desertification (UNCCD), which is meeting here in Changwon, South Korea. “We can’t afford to deplete our food-producing lands when there will be nine billion people by 2050,” Gnacadja said. Food security is a major theme at this 10th Conference of the Parties (COP 10) under the UNCCD, the international governmental convention charged with finding ways to end desertification and land degradation. Although the world can produce enough food for everyone, roughly one in seven people will go hungry. Why? They simply cannot afford to buy enough food. World food prices remain 15 percent higher than a year ago, according to the U.N. Food and Agriculture Organisation (FAO). Food commodity speculation and climatic change that is bringing increased heat and changes in precipitation patterns, along with increasing demand for biofuels, have been blamed for rising food prices in recent years. Largely unseen in the growing concern about feeding the world is the decline in the fertility of soils due to erosion and overuse. Every year, this results in the effective loss of some 12 million hectares of land. This has been a “blind spot” in the discussions about food security, according to Gnacadja. UNCCD delegates from 193 countries are meeting this week in South Korea to create tools and mechanisms to help countries develop effective land stewardship policies and practices to reduce and ultimately prevent land degradation. Much of Africa’s western Sahel region on the edge of the Sahara desert was as barren as a concrete floor in the 1970s. 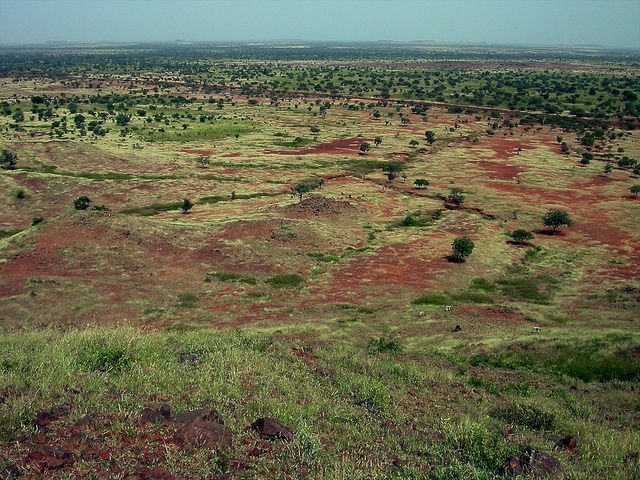 Now close to six million hectares are green again and home to over 200 million trees in Niger, Mali and Burkina Faso, said Chris Reij of the Centre for International Cooperation at Vrije University in Amsterdam. The Sahel is a belt of arid lands south of the Sahara that spans the entire continent and is home to some of Africa’s poorest people. “None of the trees were planted, it was natural regeneration thanks in part to an increase in rainfall,” Reij told IPS in Changwon. Local peoples responded by constructing semi-circular mounds, planting pits, knee-high dams and impoundments to trap and hold water, nourishing trees, bushes and food plants and helping to recharge groundwater. “In some areas the water table has risen five or six metres,” Reij said. Using these techniques, small-scale farmers in Niger have been able to grow 200,000 tonnes of onions. Some are producing 2,000 kilogrammes of food from a hectare of land that did not produce anything, he said. “It is amazing what African farmers can achieve when their backs are up against the wall,” Reij said. The re-greening of this part of the Sahel has increased the region’s soil fertility, reduced temperatures, cut the number and intensity of sandstorms, provided firewood and fodder for animals, boosted biodiversity and generated other benefits with no cost to governments, he said. “The big question now is how to bring this to other parts of Africa and the world,” he added. Reij recounted a recent trip to Ethiopia where large tracts of land owned by the country’s richest person were being ploughed up for a monoculture crop. 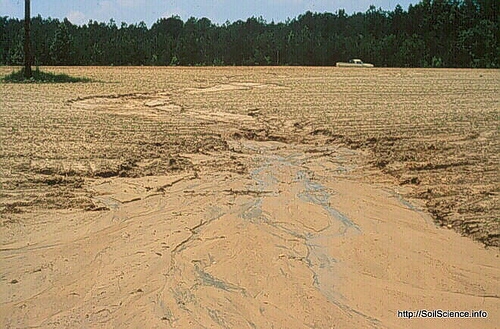 “The resulting clouds of dust which is the land’s fertility being blown away was heartbreaking,” he said. Semi-arid areas of the world need to shift into agroforestry that integrates trees animals and crops, he said. To achieve truly sustainable forms of food production, governments need to move away from monocultures and large-scale irrigation projects, agreed Olivier De Schutter, the U.N. special rapporteur on the right to food. A combination of plants, trees and animals can conserve and enhance the productivity of land. 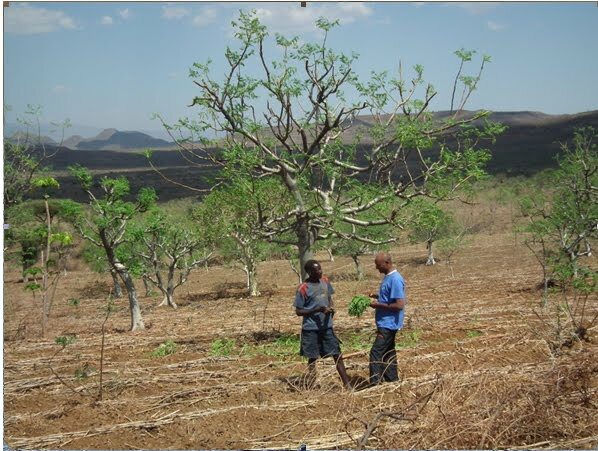 Studies show that where agroforestry (also called agroecology) has been applied, it has led to an average of 116 percent increases in average yield in Africa, De Schutter told IPS previously. The best thing governments can do is support and provide incentives to their smallholder farmers to shift to agroecological methods rather than investing in big, expensive projects, De Schutter said via video at COP 10. “Dams and large-scale irrigation are extremely costly for states, have huge environmental and social impacts and are unsustainable,” he said. De Schutter said on a recent visit to China he was struck by how fragile much of its foodlands are in terms of water availability and soil fertility. “Agroforestry with water harvesting are the only way to feed the future,” he said, and this is what should have been done in the Horn of Africa. Governments need to make massive investments to change this. “They will also need to apply imagination and political will to make this happen,” he concluded. First Published as Looking to the Sahel for Lessons in Pushing Back Deserts – IPS ipsnews.net.